The Videojet 9550 is designed to eliminate mechanical adjustments, failure points, and wear parts from daily use. With a single web page, the ribbon change takes less than 60 seconds. Direct apply labeling replaces applicators and eliminates label jams. The single, intuitive interface helps prevent and eliminate errors. 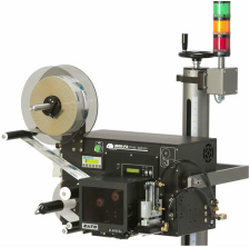 The 360a Series platform has become the standard in for the labeling industry. It's versatility to be configured for makes it the perfect choice for unique applications. 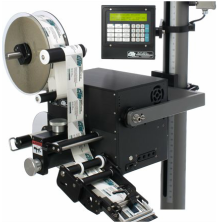 Variations include RFID Labeler, Form Fill and Seal Labeler, and High Speed Labeling. The 3600PA thermal transfer printer is sued to print and apply sensitive labels in high-speed environments. This durable labeling system can be mounted to print and apply labels from the sides, tops and bottom of products. It can be integrated with RFID labels, dual tamp printer applicator and a Servo tamp printer. This low cost thermal transfer print and apply applicator is suited for various print and apply applications. The CTM 1800PA is deisgned to be a solid and reliable entry level applicator that is build to industry quality specifications. 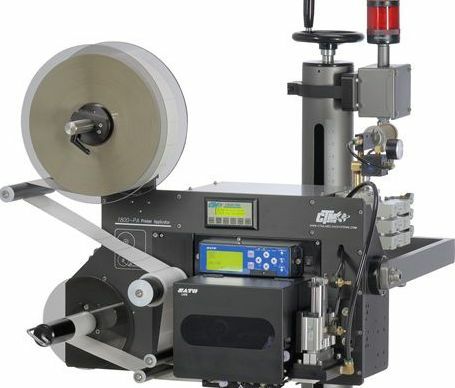 It can print at speeds from 2' per second to 6" per second using labels as wide as 4.5" wide.